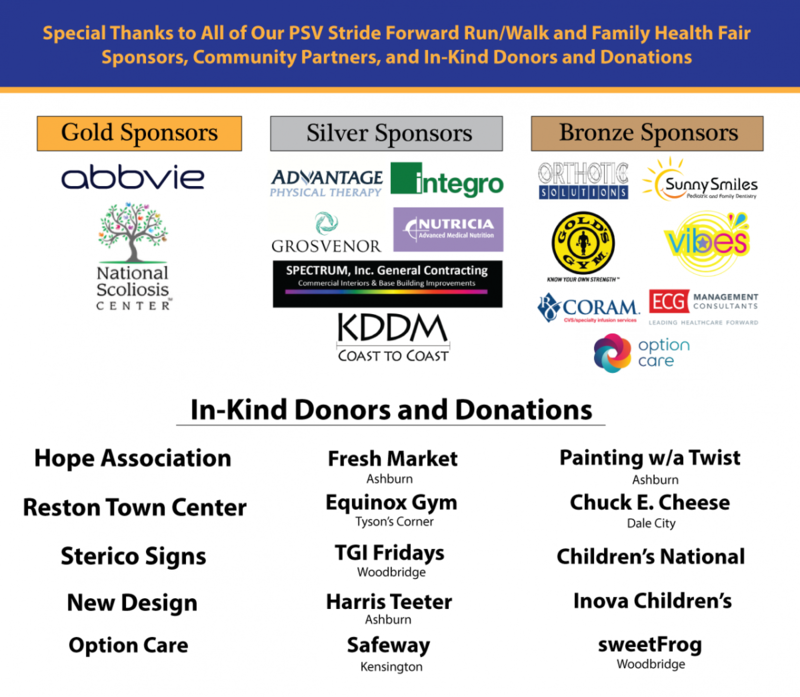 Pediatric Specialists of Virginia (PSV) would like to thank all our Stride Forward 5K Run/Walk and Family Health Fair participants, volunteers, sponsors, donors, community partners, and staff. There were nearly 300 attendees on race day, Sunday, September 30. The event was a huge success and we are looking forward to our second annual 5K Run/Walk and Family Health Fair next year. Photos from our 5K Run/Walk and Family Health Fair can be found on our Facebook page. Proceeds from the event will be used to support patients and families dealing with chronic, terminal, and serious illnesses. If you would still like to contribute to our cause, you can make a donation at any time. Thank you again, and we looking forward to seeing everyone again next year!